Pianos require, above all else, a constant humidity to maintain the quality of the instrument. Our ENVIRO-ROOM is a sealed chamber designed to provide optimal conditions for Pianos, art and antiques. It is well known, that dry conditions, especially during the winter months, followed by high humidity in the summer will cause wood to expand and contract which leads to a plethora of problems including: cracked soundboards; tuning pins that can no longer hold tension; cracked bridge; dry and brittle bridal straps, hammers, dampers etc. All Pianos are wrapped in premium Microfibre Blankets. When we arrive at your residence we start by doing an inventory of the piano's condition. Grands are placed on a padded skid board and double wrapped to protect them during transport as well as storage. All legs, pedals, benches and other parts are wrapped and placed into a tagged box to be kept alongside the piano. Needless to say maintaining your instrument in a secure climate controlled environment is our primary concern. 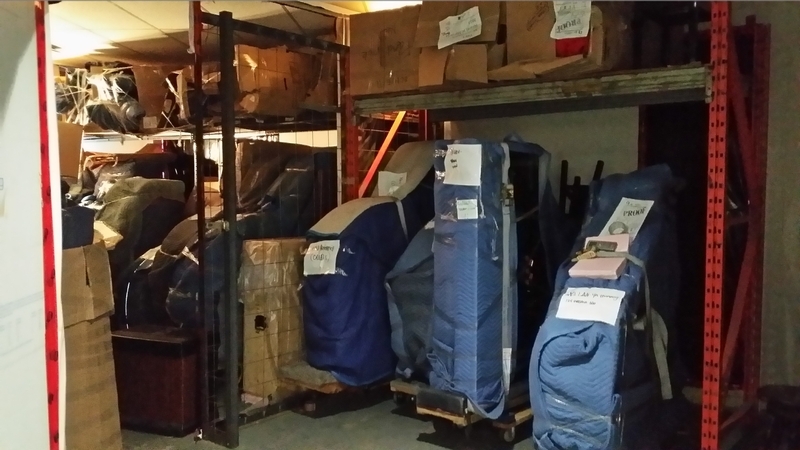 We also offer private storage lockers for regular goods in our normal heated warehouse. © 2019 Moventune inc. All rights reserved. Website design by Vortex Solution.